Feeling hot, hot, hot? 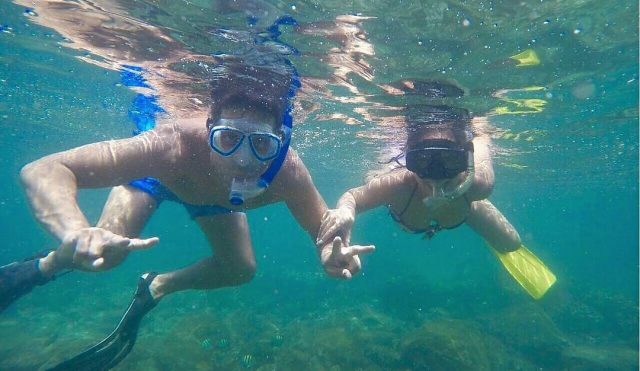 Now that summer has officially begun, we’ve rounded up some awesome things to do in UAE to beat the heat.. From water parks in Al Ain to ‘rainy’ days in Sharjah, here are 5 adventures in UAE to add to your summer bucket list.. 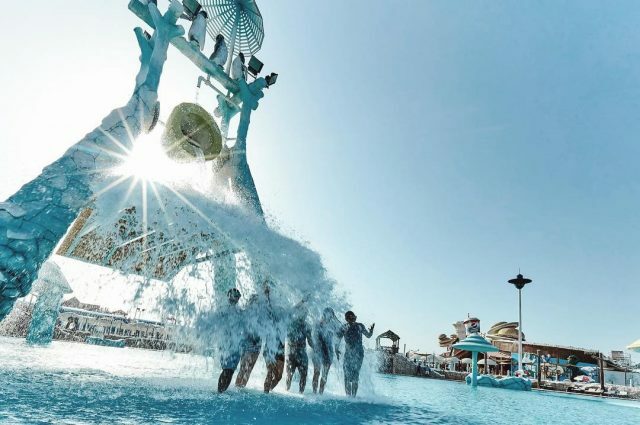 This water park is hands-down one of the coolest places to hang out during summer – and it’s only a short drive away from Dubai. 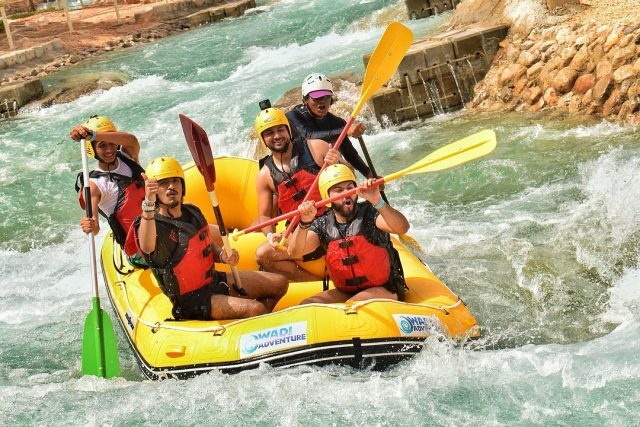 Wadi Adventure has everything including thrilling water adventures including white water rafting, surfing, wakeboarding and kayaking! Sounds like the perfect summer adventure to us. Ever visited Sharjah Art Foundation? It’s home to some of the funkiest art in the UAE, including creative exhibitions, films and installations. 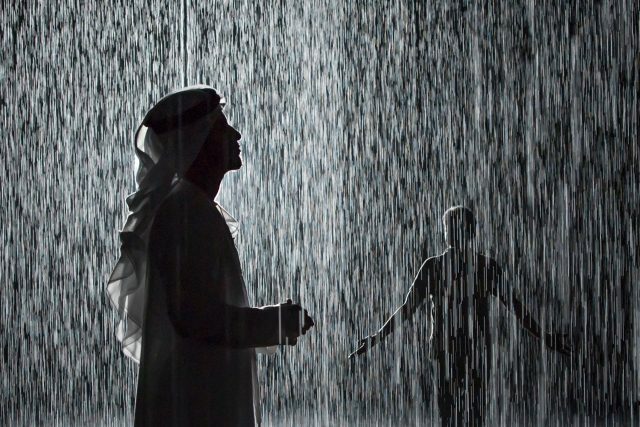 Since we didn’t get much rain in Dubai this year, make sure to check out one of our favourite installations, the Rain Room! You’ll be able to walk through a downpour of rain, without actually getting wet! Out of all the incredible things to do in UAE, this one should be on your bucket lists! Fujairah is one of the most stunning places in the UAE to go snorkeling and diving in this country. Try heading to Snoopy Island – it’s a popular dive site and you’re likely to meet lots of fish, and maybe even spot a few turtles there. If regular water parks aren’t cool enough for you, you have got to check out Iceland Water Park in Ras Al Khaimah! This snow and ice-themed water park is an awesome place to cool off this summer. Unfortunately the park is undergoing maintenance, so the water slides are temporarily closed, however they’ve still got the Snow River, Penguin Bay, Kids Cove, Olympic-sized pool, and a few new attractions. Also, tickets are now discounted to AED 75 per person. 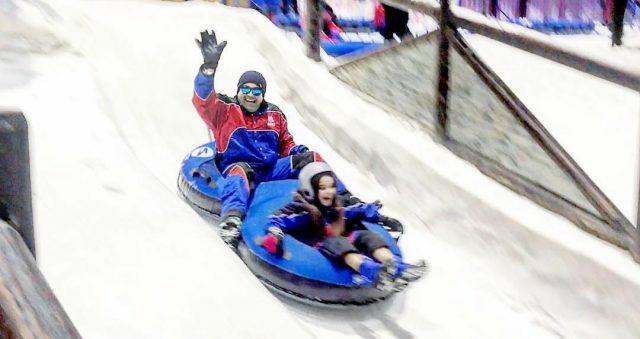 Another one of our favourite ice cold adventures in UAE is skiing (in the mall, of course). There’s so much to do at Ski Dubai, including rolling down ski slopes in giant zorb balls, ziplining, snowboarding, playing with penguins and learning how to ski. Read more: Beat the heat with these 5 craziest ice creams in the UAE!